This seashells is perfect for your real or dream beach house. 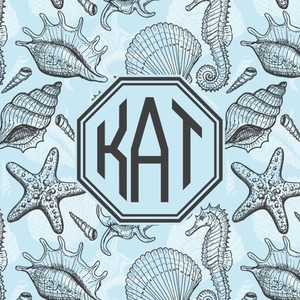 It features a conch shell (so you can always hear the ocean), clam shell, sea horse, and starfish, all on a sweet baby-blue background. You won't even have to be at your beach house to feel the sand between your toes.